Cover reveal, Excerpt and Giveaway! 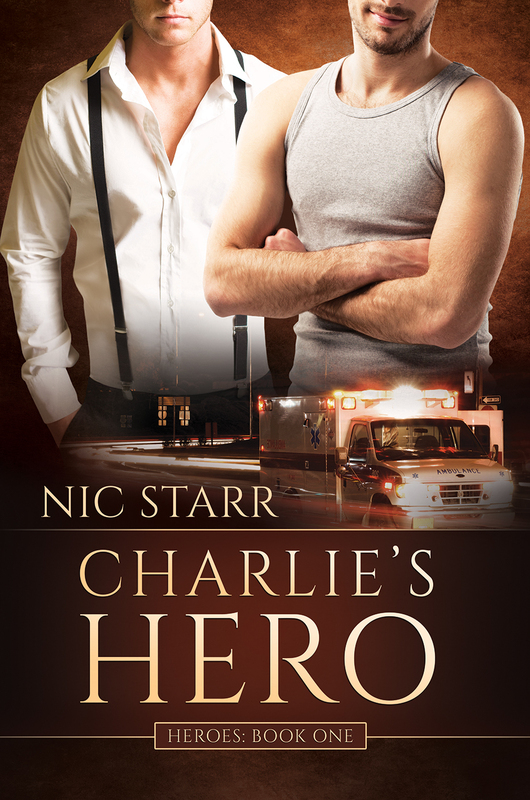 Charlie’s Hero by Nic Starr | Because two men are better than one! It’s not until Charlie confronts his own parents and realizes he hasn’t come to terms with their rejection that he fully understands what Josh has to lose. But Josh is Charlie’s hero, and Josh will do anything to prove to Charlie that he doesn’t need his parents to be part of a family. He placed the single key on the table and slid it across the laminate surface until it sat directly in front of Josh. Josh stared at the key for a moment before looking back at Charlie. He tilted his head to one side and his brows came together. Nic Starr lives in Australia where she tries to squeeze as much into her busy life as possible. Balancing the demands of a corporate career with raising a family and writing can be challenging but she wouldn’t give it up for the world. Always a reader, the lure of m/m romance was strong and she devoured hundreds of wonderful m/m romance books before eventually realising she had some stories of her own that needed to be told! When not writing or reading, she loves to spend time with her family. Love the cover. Can’t wait to read the book. Great cover. I like how the Ambulance in the corner alludes to the story.